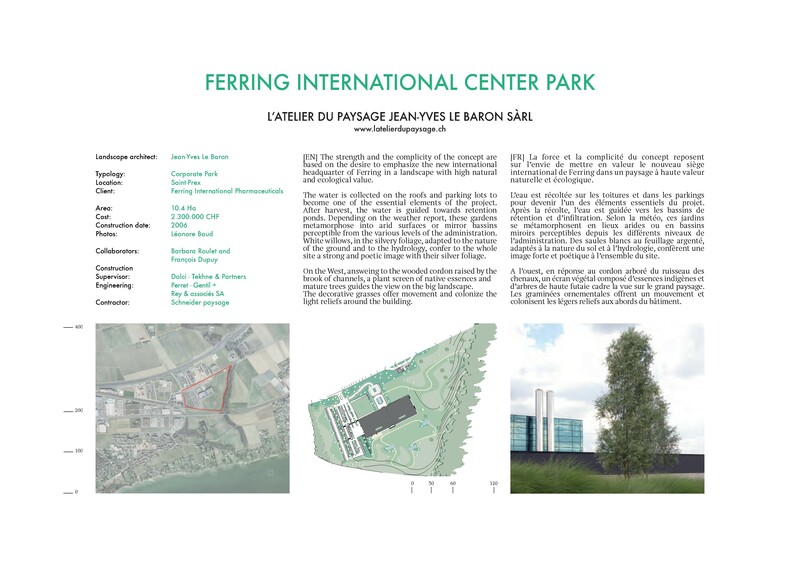 The strength and the complicity of the concept are based on the desire to emphasize the new international headquarter of Ferring in a landscape with high natural and ecological value. The water is collected on the roofs and parking lots to become one of the essential elements of the project. After harvest, the water is guided towards retention ponds. Depending on the weather report, these gardens metamorphose into arid surfaces or mirror bassins perceptible from the various levels of the administration. White willows, in the silvery foliage, adapted to the nature of the ground and to the hydrology, confer to the whole site a strong and poetic image with their silver foliage. On the West, answeing to the wooded cordon raised by the brook of channels, a plant screen of native essences and mature trees guides the view on the big landscape. 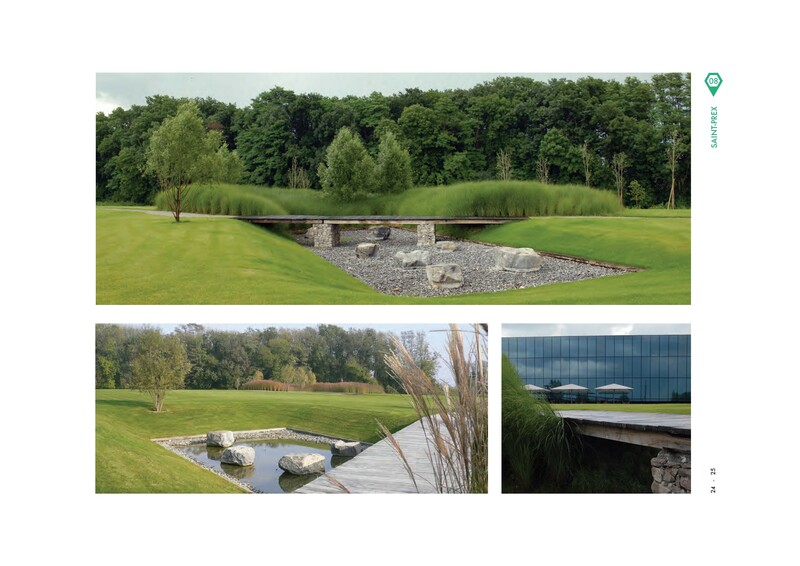 The decorative grasses offer movement and colonize the light reliefs around the building.